This post is brought to you in collaboration with Eckrich Deli Meat. All opinions are my own. 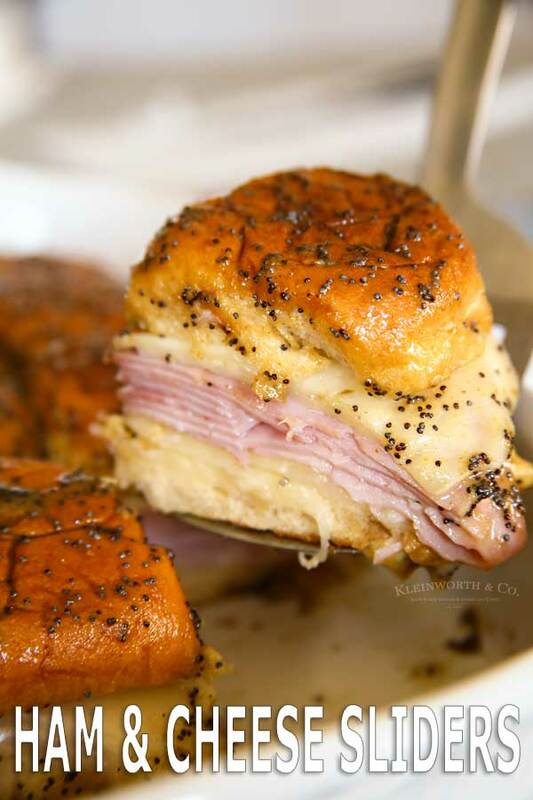 Whether you are feeding the family or a large party crowd, these Poppy Seed Ham and Cheese Sliders are the perfect recipe – everyone loves them! Who loves quick & easy recipes? I would be lost without them! 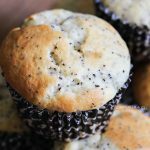 We like to make these Poppy Seed Ham and Cheese Sliders as a versatile on-the-go breakfast recipe or sometimes as a game day snack that our whole family loves. I don’t know about you, but I’m always looking for ways I can put a delicious homemade meal on the table quickly. Less time in the kitchen & more time with my family is always my priority. 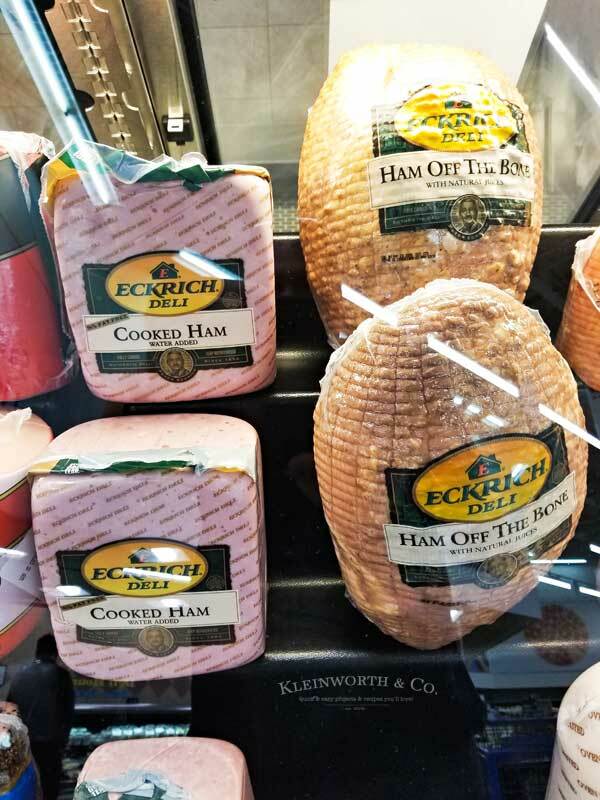 To make sure I have everything I need, I like to stop at Walmart pick up all my ingredients, including Eckrich Deli Meats, which are now available at the Walmart deli counter! These sliders are so simple to make. When preparing them for the kids to have for breakfast, I like to make a full batch & then individually wrap them after they have cooled. This makes it easy for the kids to grab them on the go as they need them. 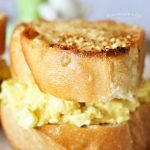 This recipe makes 12 sliders, so that gives me almost a whole week of breakfasts for them! Why choose Eckrich deli meat? Any way you slice it, Eckrich deli meat is my top choice at the deli counter. 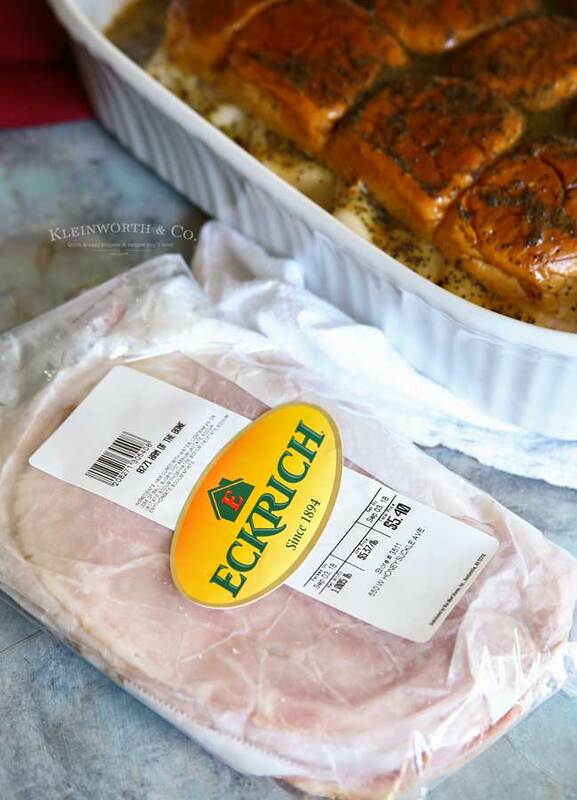 Not only is it convenient because I can grab it while I’m at Walmart during my weekly shopping trip, but Eckrich is always gluten-free, full of flavor & made with unmatched quality. The Eckrich Ham Off the Bone gets its premium flavor from its own natural juices, getting all the delicious flavor of bone-in meat. 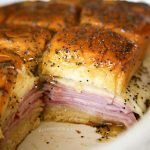 Can ham and cheese sliders be made ahead of time? Absolutely. Like I mentioned, we like to bake them all at once & then portion them out. You can enjoy them cold the next day or just give them a few seconds in the microwave to reheat them if you are short on time. So simple & still just as delicious the next day. 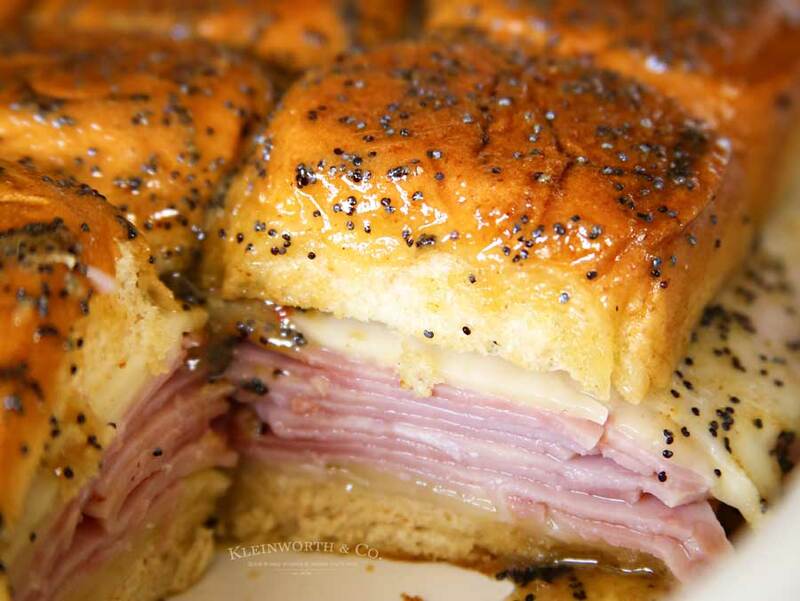 HOW DO YOU MAKE HAM AND CHEESE SLIDERS? Lightly coat a 9×13 inch dish with cooking spray. Cut the slider buns in half like a sandwich. Place the bottom layer into the prepared dish. Add half of the cheese. Follow with a layer of ham, then the remaining cheese. In a small microwave-safe bowl, melt the butter. Whisk in brown sugar, dijon, poppy seeds, onion powder, garlic powder, Worcestershire, salt & pepper. Brush this mixture over the tops of the rolls. Pour any remaining mixture to coat thoroughly. Remove the foil & continue baking for an additional 10 minutes. 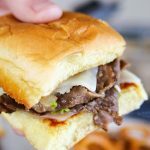 These are the most delicious sliders you’ll ever make! They certainly save us so much time & are so convenient. 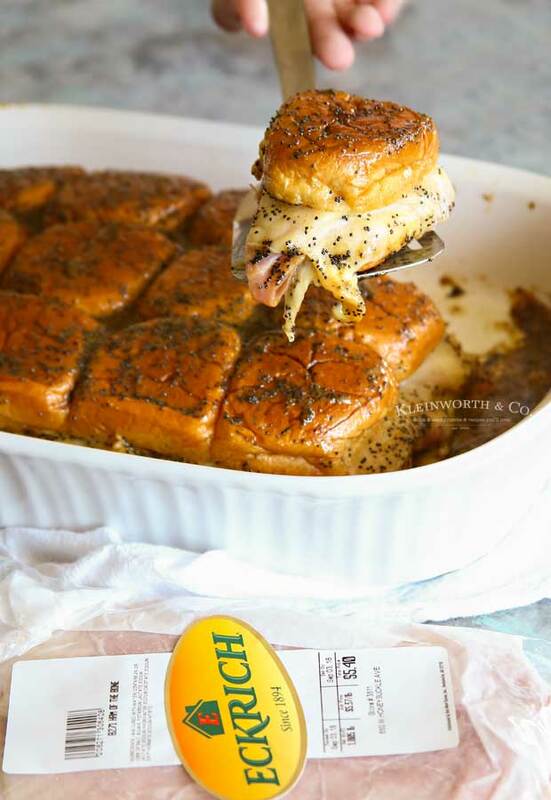 Whether you are feeing the family or a large party crowd, these Poppy Seed Ham and Cheese Sliders are the perfect recipe- everyone loves them! Cut the slider buns in half like a sandwich (all together, do not break into individual sliders yet). Add half of the cheese on top. This is a sponsored post written by me on behalf of Eckrich Deli Meat. 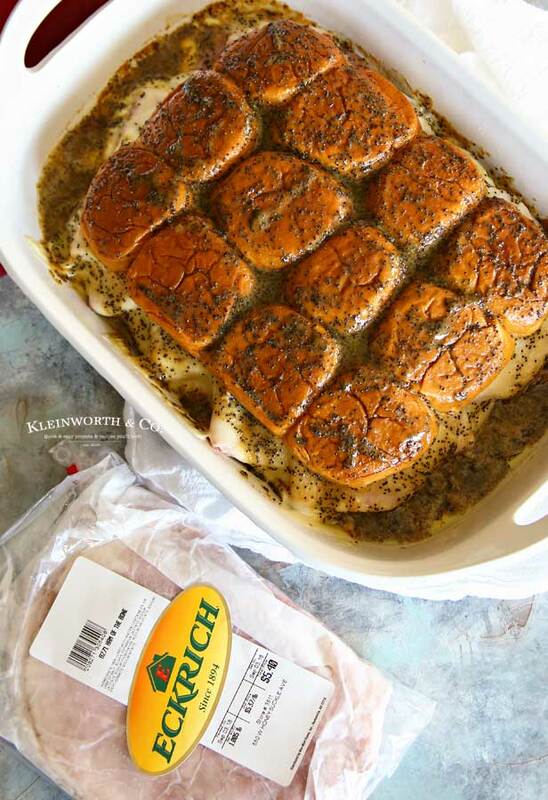 For more information about Eckrich deli meats, as well as quick and easy recipes please visit www.eckrich.com. 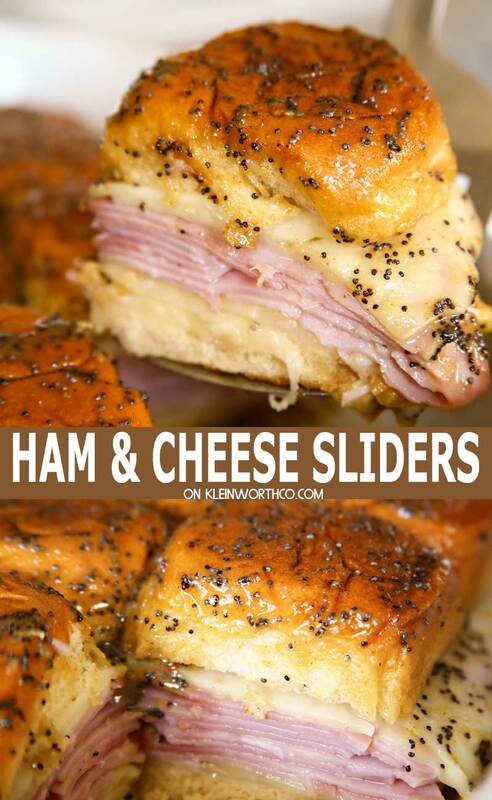 These ham and cheese sliders look marvelous. I could really use one right now. Thank you for sharing at Wonderful Wednesday. 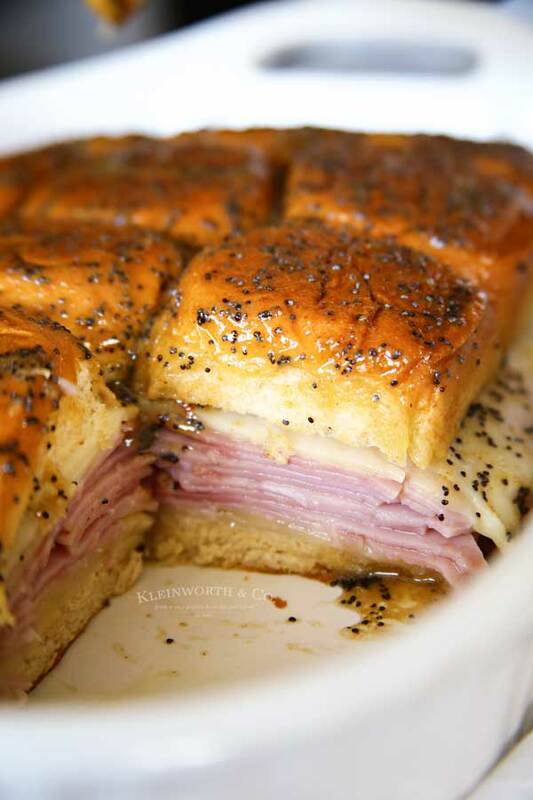 We love these classic sliders with the poppy seed, ham and cheese! Thanks so much for sharing your post with us at Full Plate Thursday and hope you have a great week! These sliders look fantastic!! They don’t look too tough to make and they will feed quite a few hungry folks!! Thanks for the great recipe! I can’t wait to try them!! Would you be able to transport these in a crock pot to keep warm? 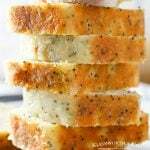 Also do you think I could substitute poppy seeds with chia?? I don’t advise using a slow cooker to transport. I highly recommend using something like this Wonderbag https://amzn.to/2Dromxa that can keep the food hot for up to 12 hours. I also don’t think chia seeds are a good choice because not only will they bring a completely different flavor- they swell when moist, which won’t be great on a sandwich.